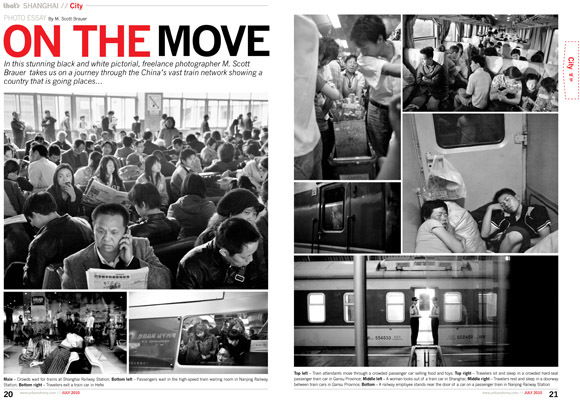 China Railway published in July 1, 2010 - That's Shanghai. If you’re in Shanghai, be sure to pick up a copy of the July issue of That’s Shanghai. 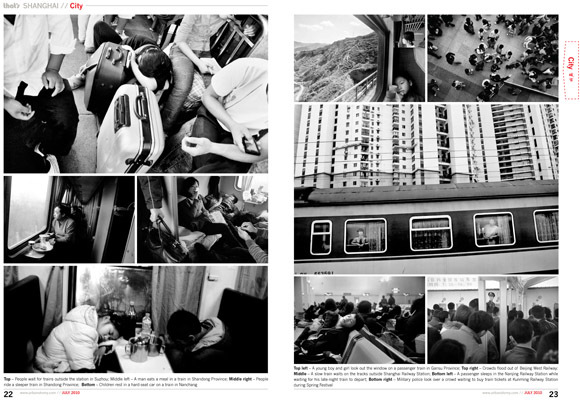 They’ve just published a generous edit of my series on China’s crowded railways. Big thanks are due to Chad Ingraham, a talented photographer in Shanghai who got me in touch with That’s Shanghai, and JFK Miller, photo editor at That’s Shanghai who pushed to get 4 pages and a decent fee for the usage. Look for more of my work in That’s Shanghai in the coming months, too!